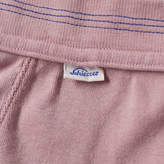 With a rich history of producing premium underwear, German brand Schiesser issue the Karl-Heinz boxer shorts in a pale pink colourway. 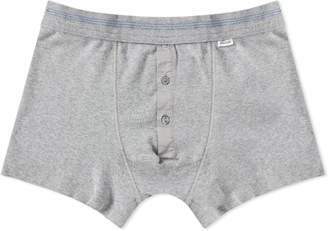 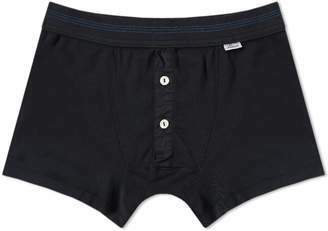 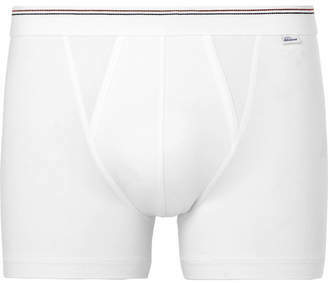 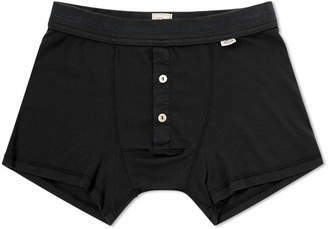 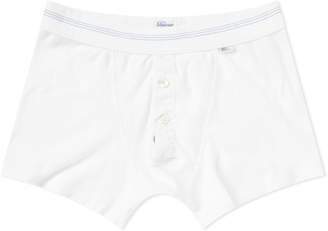 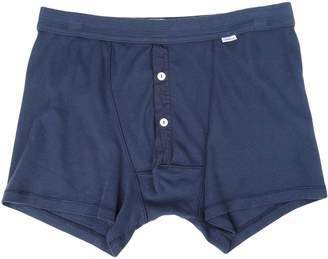 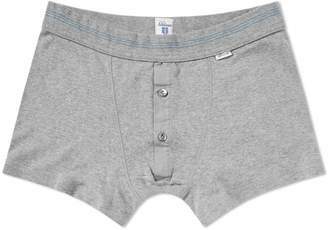 Secured with an elasticated waist, the high-quality pair are cut from a soft cotton, promising comfort with every wear. 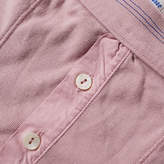 Decorated with blue stripes to the waistband, the everyday essentials are given a luxe touch with mother of pearl buttons to the fly. 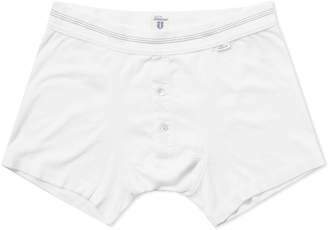 100% Cotton Elasticated Waist Mother of Pearl Buttons Woven Brand Tab Please note that for hygiene reasons we are unable to accept returns of underwear.